Two Japanese schoolboys who drowned in a calm lake were on exchange at an Australian high school. The 16-year-olds went missing on a private tour of Queensland's Fraser Island on Friday afternoon. 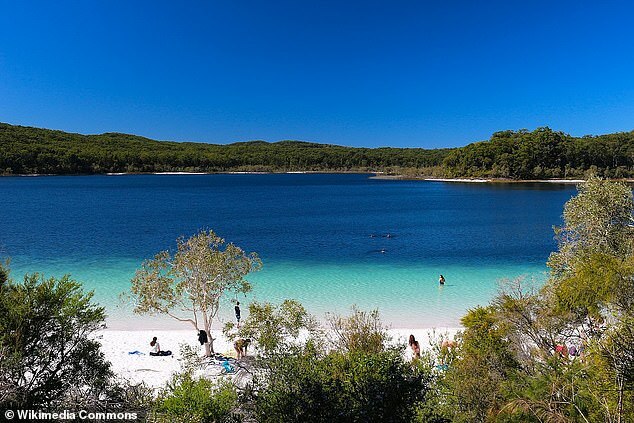 The group of 31 tourists was given free time to explore the area around Lake McKenzie - and staff noticed the boys were missing during a headcount afterwards. After a frantic search, two bodies were found in the lake at about 8am on Saturday. The boys were with other students and staff from Japan's Kanagawa University High School on a private Sealink Travel tour. They were in Australia on an exchange programme with Caloundra City Private School. He said he has met the shattered boys' families after they flew to Brisbane. '(The families) were in grief and shock and we spoke through a translator,' he said.